It's possible to not fail affine transformation for a sphere if you transform the ray into the local coordinate of the sphere. It is, but then he wouldn't have rendered a glitch picture. How to not optimise CUDA BVH traversal. spooky, but also extremely artsy.. Lesson learnt: When you want all threads in a warp to participate in a memory fetch (see Tony Scudiero's GTC presentation "Memory boot camp III"), first make sure all threads are active. 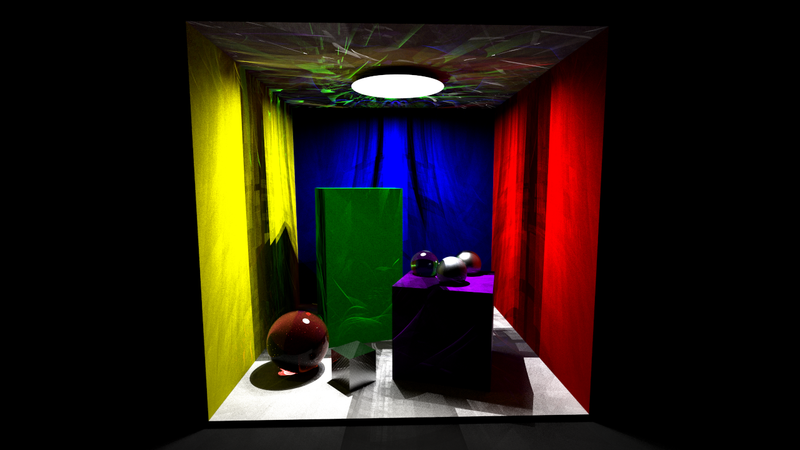 Fail trying to use sobol sequences with bidirectional path-tracing. toxie wrote: spooky, but also extremely artsy.. Agreed. Quite nice effect! Suitable for stylish avatar pic. Trying to implement 'Irregular grids'. Almost there. jbikker wrote: Trying to implement 'Irregular grids'. Almost there. Heh. I have seen much worse than that. In case you need someone to talk with about this we published a couple of articles on gpgpu rectilinear grids some time back. If you eventually publish something with grids I would be interested to look at it.